Our Michigan medical malpractice attorneys file cases against hospitals and doctors for the failure to properly diagnose a heart attack. Patients who present to a doctor’s office or hospital presenting with signs and symptoms of a heart attack are a frequent type of malpractice claim. A patient presenting with the symptoms of a heart attack should be carefully evaluated and tested for the condition before being discharged home from the hospital. Why are Heart Attacks so often Misdiagnosed by Doctors & Hospitals? Doctors and hospitals often fail to identify a heart attack or conditions immediately preceding a heart attack. Rather than "think" heart attack, the doctors attribute complaints to other less serious conditions. These conditions include muscle strains, indigestion, reflux, and even panic attacks. Failing to consider a heart attack and perform a necessary workup can lead to serious consequences, including death. What are the Major Symptoms of a Heart Attack? Discomfort in other areas of the upper body: one or both arms, the back, neck, jaw or stomach. Pounding heart or changes in heart rhythm. Heartburn, nausea, vomiting, abdominal pain. Heart attack symptoms may be different in a woman. These symptoms can include body aches, shortness of breath, nausea, vomiting, and indigestion. It essential that physicians take all appropriate measures based upon the patient history, symptoms, and complaints to determine whether the patient is having a heart attack or at risk for a heart attack in the near future. If a patient has problems consistent with a cardiac episode, it is urgent that proper testing be performed by the medical facility. What are Common Tests Used to Diagnose a Heart Attack? 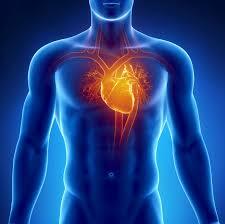 What is the Medical Treatment for a Suspected or Actual Heart Attack? Can I Sue For Failing to Diagnose or Misdiagnosing a Heart Attack? The patient (or estate) suffered quantifiable harm as a result of the failure to diagnose and treat the heart attack, which would include pain and suffering, disability, loss of income, loss of enjoyment of life, medical expenses and other economic harm. Our lawyers will get all of your medical records, lab studies, and EKG strips and have them reviewed by board-certified medical experts. If the expert determines that you were the victim of medical negligence and that you were harmed by this malpractice, we will file a medical malpractice lawsuit on your behalf. These lawsuits seek compensation for pain and suffering, disability, loss of enjoyment of life, and other damages. The suit can also claim loss of income and medial expenses. In cases where a patient dies due to the failure to diagnose a heart attack, the surviving family members can file a Michigan wrongful death lawsuit. The suits seek compensation for the pain and suffering from the time of malpractice until death, the loss of society and companionship from family members, lost income, and medical expenses. We will represent you in your Michigan heart attack malpractice case under our NO FEE PROMISE. This means that you will not be charged any legal fees whatsoever unless we obtain a settlement or recovery for you. You have absolutely no obligation for legal fees unless we win your case. If we do not obtain a settlement for you, you owe us nothing! To determine whether you or someone you know has the legal basis to file a heart attack medical malpractice lawsuit, you should contact our law office immediately to discuss your case. There are strict time deadlines for filing cases and if you miss that deadline your case will be barred forever. Fill out our contact form or call our medical malpractice attorneys at (800) 606-1717 to get started on your case.